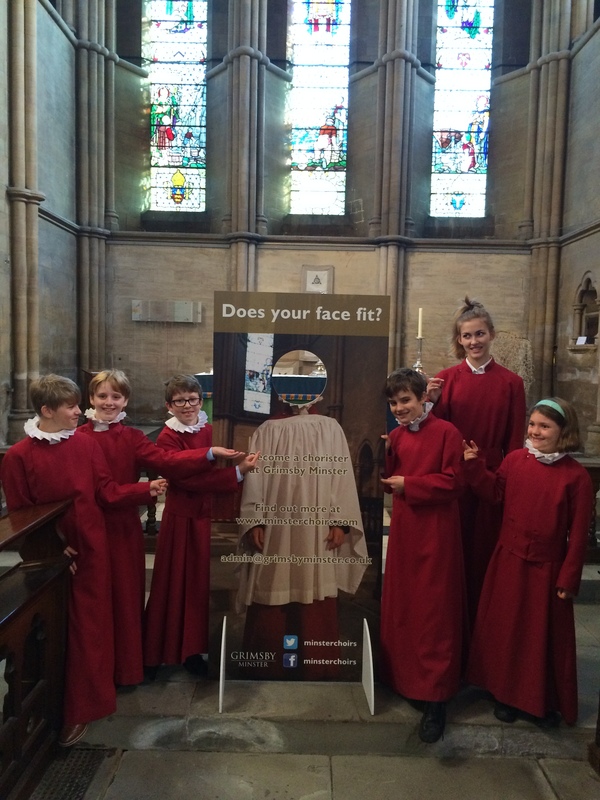 Our latest recruitment tool has now arrived – a bigger than life-size photograph of a chorister, with a space through which one can fit one’s head! This will be based in the Minster, but will also travel around with us to assemblies and other events in the area, promoting the work of the Choir and the opportunities for children, young adults, and adults to join the Choir and to continue the wonderful tradition of music here at Grimsby Minster. To find out more about how to join the Minster Choir, have a look at our recruitment page, or contact the Organist and Director of Music, Steven Maxson. This entry was posted in Uncategorized and tagged choir, chorister, choristers, Grimsby, Grimsby Minster Choir, Grimsby Minster Choirs, join, join us, Minster, recruitment. Bookmark the permalink.